Back in 2008, I stumbled upon Molly Worth, owner of Chairloom, after reading an article in The New York Times about the vendors and shoppers of the Brooklyn Flea Market. 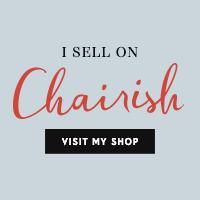 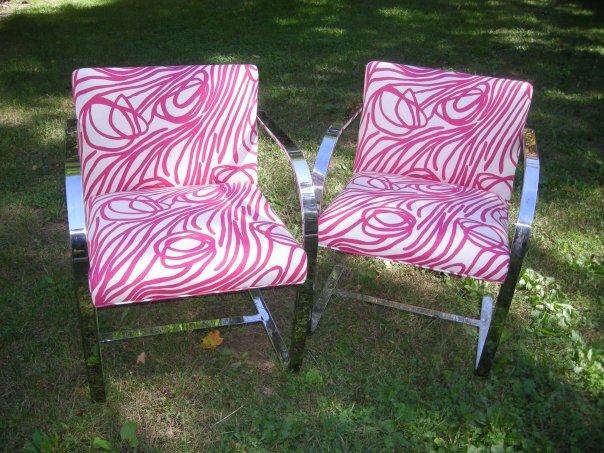 Chairloom features vintage furniture - chairs, ottomans, settees - offering shapes & forms that hold design appeal and interest, but in need of a new lease on life. 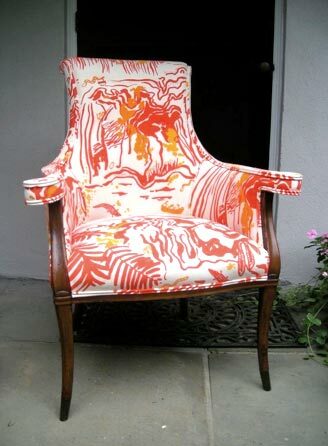 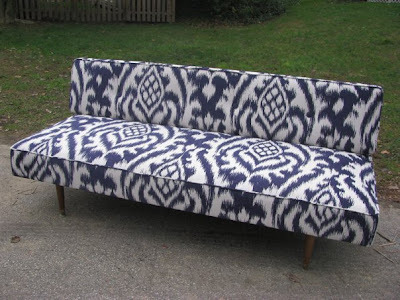 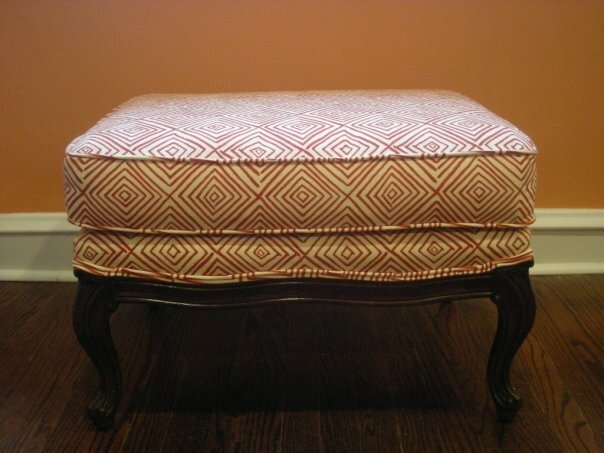 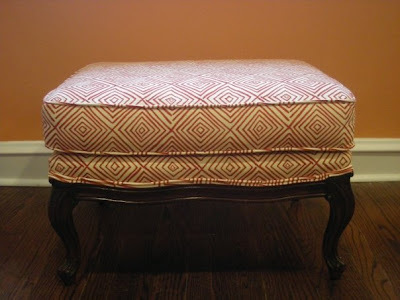 Worth, a 3rd generation re-upholsterer based out of Philadelphia, mixes fresh fabrics - full of pattern and color - with classic, well constructed furniture. Voila! 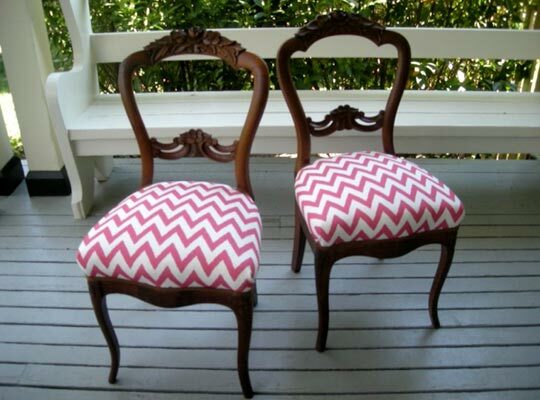 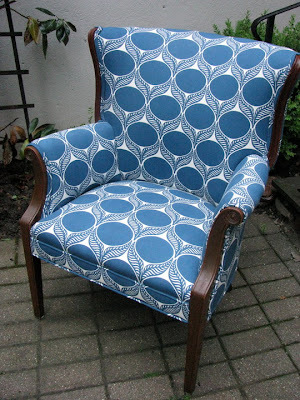 Old chair meets new upholstery - furniture recycling at its best! 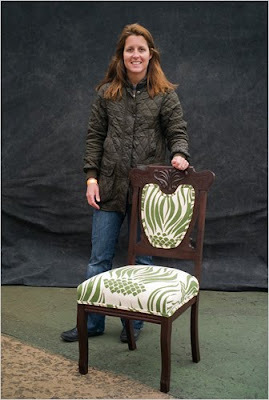 Molly Worth - With one of her upholstered vintage chairs @the Brooklyn Flea Market.